where another agency and brand will take the stage. Early bird tickets for this event are still available. McDonald’s marketer Jo Feeney and DDB Sydney managing director of strategy and innovation Leif Stromnes agree that the dwindling tenure of CMOs is “cruel”, “dispiriting” and has a negative impact on the industry. 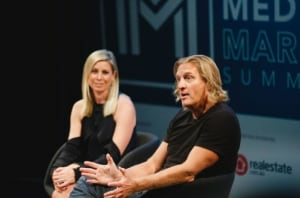 Speaking at the AdNews Media and Marketing Summit in Sydney, Feeney said often marketers lose their chance to create great work by ripping out their agency to make their mark. “The worst thing that can happen when the CMO or other leaders leave is they suddenly want to take the brand in a different direction,” Feeney said. “What we’ve managed to do is keep the consistency in terms of the brand output and I think that’s the biggest challenge for any business when you lose that leadership at the CMO level. Research from The Marketing Society found the average tenure of a CMO in 2016 in the UK stood at just 18 months on average. 18 months is also said to be the average tenure in Australia. Stromnes described the process of a new marketer coming in and immediately calling a pitch as “traumatic”. “It’s cruel when CMOs want to make a change for the sake of making a change. We’ve all been through that,” he said. He added that if the agency isn’t doing good work, it’s fair to pitch the business, but a lot of the time that’s not the case. “If we’re not doing good work, absolutely pitch the business. But if we are doing good work and the business is in good shape and we’ve got the strategy under control and we’re ahead of the game – I will not accept going to pitch,” he said. DDB and Maccas were speaking about how to keep a happy client/agency relationship at the AdNews Media and Marketing Summit. 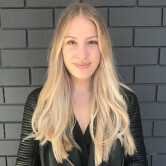 On 25 July, AdNews will host its second Media + Marketing Summit in Melbourne where another agency and brand will take the stage. Early bird tickets for this event are still available.